The speaker, an expert on both cricket and Carnatic music, takes the audience on a fascinating journey across on the two subjects that form the fabric of Chennai and how they have evolved over the years. About: The Madras Day / Week celebrations are a series of events that are held to recall the birthday / founding day of the city. Over the years, ABS Chennai has partnered in hosting and organizing events in connection with these celebrations. This year, special efforts have been taken to organize a variety of events involving different segments of people from the city. Our attempts to include theatre as an integral part of Sruti have been understandably slow, as theatre enthusiasts are not necessarily part of our core readership. Our theatre coverage therefore does not always reach its target audience, and when it does, we find that those readers may not be too interested in music and dance. It has been quite a balancing act, especially as we often encounter criticism from music lovers who feel we are leaning too far towards dance and vice versa, Carnatic music rasikas accuse us of excessive interest in Hindustani music, so on and so forth. In this dilemma, we are not very different from Indian sports magazines, which some readers tend to dismiss as cricket magazines, while those cricket aficionados that read them may have little time for other sport. This is our first full-fledged theatre issue. Though it is neither very comprehensive nor structured, it is an attempt to cover a few variations of the art divided by genre or time in history. Vamanan profiles S.G. Kittappa, music’s godsend to Tamil theatre at a time when the old-fashioned musical was the only kind of theatre to appeal to audiences of all ages. Romance and daring bordering on bravado marked the life of this singer-actor non pareil of the 20th century, while Devdas-esque tragedy led to his premature death. Vamanan waxes lyrical over this extraordinary vocalist’s charisma, range and power – surely Kittappa fans will not complain. 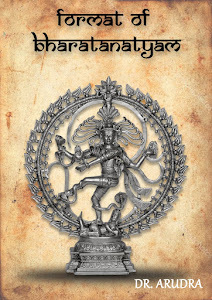 Ancient Sanskrit dramatists – starting in this issue with Bhasa – form the subject of a new series by Bharathi Ramasubban, a promising Carnatic vocalist, who also has a Masters degree in Biotechnological Law and Ethics. The essay gives sufficient proof, if proof is indeed needed, that ancient Indian theatre was an amalgam of music, dance and drama. In addition to Indira Parthasarathy’s appreciation of the greatness of Ilango Adigal’s magnum opus Silappadhikaram in his column, the issue also offers insights into street and folk theatre as well as contemporary drama in a traditional milieu. In Pages from the Past, we reproduce an earlier article on the Bhagavata Mela of Melattur. 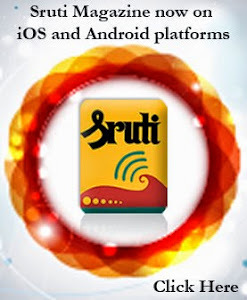 This is our way of not only stating the obvious – that Sruti is a magazine on all performing arts – but also reiterating the holistic nature of traditional Indian sangeeta. The October issue of Sruti will be its 30th anniversary number. We invite critical comment from our readers for publication in the issue. Letters we receive before 15 September will find a place in the October issue if they meet our expectations of content and style. It goes without saying that both bouquets and brickbats are welcome, so long as they can be justified. Finally, we have come to terms with our inability to hold the price line in the midst of rising costs of production and distribution. We therefore have no choice but to increase the price of Sruti. An individual copy will cost Rs. 55 and the annual subscription Rs. 660 with effect from October 2013. We hope to receive the continued support of our subscribers. Na Muthuswami’s pathbreaking work, with his Koottu-p-pattarai a fertile training ground for Tamil actors, is an oasis in the desert of Chennai’s serious theatre scene. In the mainstream, not even a handful of amateur theatre groups offer more than fluffy comedies. And unlike the vibrant atmosphere in the English theatre world of Chennai, albeit often of dubious quality, its Tamil counterpart does not enjoy much audience support. Things were much better for the stage industry in the last century. While entertainment (other than films) in the Chennai of the 1950s and sixties consisted mainly of Carnatic music, the city also offered a monthly dose of amateur theatre. If your earliest ideas of classical music were fashioned by the voices and instruments of the stalwarts of the day—Ariyakudi, Semmangudi, Madurai Mani, Maharajapuram, GNB, MS, MLV, Pattammal, Palghat Mani, Lalgudi, Krishnan and many more—Tamil drama offered considerable variety too. Such dramatisations of the novels and novellas of Devan as Mister Vedantam, Tuppariyum Sambu or Kalyaniyin Kanavan were popular hits. A Tamil version of Dr Jekyll and Mr Hyde, in which the lead roles were played by the towering CG Seshadri, was so frightening that the walk home afterwards could be a nightmare. If I Get It by YGP was a thriller all the way with never a dull moment, at least to an impressionable pre-teen fan. Unforgettable was Koothapiran or NV Natarajan, who is still going strong, with some six decades of experience on radio and stage behind him. The great dramas of the period were staged by the TKS Brothers, with TK Shanmugham and TK Bhagavathi playing major roles in all their lavish spectacles. Shanmugham was so convincing as Avvaiyar that when the wonderful K B Sundarambal played the sage-poetess on the screen, it was initially disappointing to note the role taken away from TKS. The eponymous Kappalottiya Tamizhan and Veerapandia Kattabomman were both runaway successes and both eventually had Sivaji Ganesan essay the star roles in his inimitable style on screen. 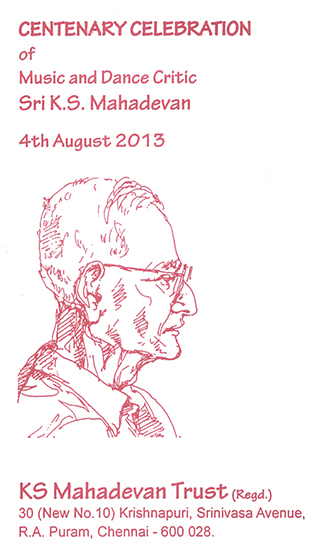 Another veteran theatre personality was SV Sahasranamam whose Seva Stage was a highly respected troupe. Nalu Veli Nilam, Policekaran Magal and Nawab Narkali were among their evergreen hits, some of which were filmed successfully. RS Manohar was known for special effects and gigantic sets as much as unconventional perspectives on well known myths and epics. His plays had Manohar in roles such as Ravana in Lankeswaran, Sukracharya and Naganandi. The stage décor was predictably theatrical in most of these productions, with palaces, streets and temples painted on scene-specific drop-down-roll-up backdrops. Comic relief was mandatory and actors like Sarangapani, Sivathanu and Sambandam drew the most laughs. The 1960s also brought to the fore such larger than life theatre personalities as United Amateur Artistes’ YGP, whose son Mahendra is still going strong on stage and in films, and K Balachander. In Balachander’s Ragini Recreations flourished such future stars of the screen as Sundarrajan and Nagesh. Sundarrajan’s stirring performance as Major Chandrakanth prefixed the title of the army officer permanently to his screen name and the brilliant comedian Nagesh’s Server Sundaram, adapted for cinema, became an all-time classic. Viveka Fine Arts’ ‘Cho’ Ramaswamy’s plays, a complete departure from the prevailing genre of ‘social’ drama, lampooned the political classes and their corrupt way of life that was increasingly pervading Indian society. A later development was the growth of light drawing room comedies of the strictly Madras variety, the handiwork of natural humorists not distinguished by hidden depths or subtlety. ‘Kathadi’ Ramamurthi, SV Shekher, and Crazy Mohan belong to this category. When Poornam Viswanathan, originally famous for his work on radio and the play, ‘Under Secretary’, moved from Delhi to Madras, he found a superb outlet for his acting ability in the productions of Kala Nilayam, in which along with committed amateur artistes of the calibre of Chandrasekhar (of the musically talented Sikkil family) and others, he was able to take part in such super hits as Savi’s Washingtonil Tirumanam and Marina’s Tanikkudittanam and Oor Vambu. Kala Nilayam is still going strong despite the odds stacked against it. Viswanathan later formed his own group to stage some excellent works of serious content, mainly plays by Sujatha, such as Kadavul Vandar. Indira Parthasarathi’s Nandan Kathai, Aurangzeband Ramanujar are again serious works, which like Poornam’s earlier efforts, lack support from sponsors and audiences alike, a sad commentary on the prevalent theatre culture of Tamil Nadu. Parthasarathi’s plays have met with far greater stage success in their Hindi translations than in the Tamil originals. Theatre of the old Nawab Rajamanickam or Boys Club kind is still reputedly alive and kicking all over the state, besides therukoothu and other forms of folk theatre, but urban Tamil Nadu has the reputation of not supporting or enjoying serious Tamil theatre any more. In fact, a worthy recent attempt to revive Sujatha’s Kadavul Vandar, by Bharati Mani—a character actor who has relocated here from Delhi post-retirement—had to be funded entirely by him. For all the favourable reviews and audience response the play has received, Mani will still not find it easy to obtain sponsorship for further productions of serious plays. The lure of cinema and television is blamed for the lack of an informed, interested audience for plays other than the joke-a-second or slapstick variety. The huge crowds that Magic Lantern’s Ponniyin Selvan drew a few years ago at the YMCA Open Air theatre, however, suggested that the blame for the situation did not lie with the audiences alone. The last few years have seen a surge in the number of theatre festivals (more about these will follow soon) in Chennai, usually staged at venues like the Dakshnamoorthy Hall of Mylapore and Narada Gana Sabha. Some of the plays, including a few by troupes from Delhi and Mumbai, even the USA, have attempted serious themes, or relatively sophisticated comedy, in a departure from the Mylapore formula of yore, but the productions often suffer from lack of infrastructure as well as training. The sets are a throwback to the era of Manohar and TKS Brothers, or even worse, imitations of TV plays with their strange furniture and stranger interiors. The actors often stand in front of microphones and declaim their lines to the audience, and the acting belongs strictly to realm of melodramatic excess. Yet no one seems to mind. It is time both our theatrepersons and our theatregoers were exposed to quality fare from other parts of India. When the renowned Bharatanatyam artiste said to me, “I’d like to act,” I thought she was joking. Imagine my surprise when she agreed to do a role in Flame of the Forest, a play I wrote and directed, with the kind of enthusiasm rare even among actors. Star dancer though she was, “I’ll do it again,” became her refrain at play rehearsals. She unhesitatingly admitted doubts, seeking guidance in learning this new skill. After finishing her scenes, she invariably stayed to watch other actors in rapt silence. She had to know the whole to actualise her part. Priyadarsini Govind’s role in the play was of a betrayed lover and war victim, struggling to find peace within. As a theatre director, I found it exhilarating to watch her grit in grasping the elements of the new craft. At a recent workshop she admitted, “I had to start from the basics, even learn how to walk naturally on the stage.” She polished every detail until it became a spontaneous, shining inner experience. After this, I got to direct Priya in two dance theatre performances. In the first production she had no ego hassles in partnering a less experienced, younger dancer. “Through Sita’s Eyes” was our second collaboration; Priya explored the psychological growth of this archetypal woman, as envisioned by poets in six languages. Blending instinct with introspection, she individuated every phase of the character – from carefree innocence to disillusionment. Perceiving Sita’s trauma peaking not when abducted by a demon, but when abandoned by her husband, Priya transformed Sita’s odyssey into the ceaseless striving of the human spirit against eternal odds. An unforgettable rehearsal moment came when shy Sita identifies her two male escorts to the curious tribal women in the forest, “The dark one is my beloved, the fair one my brother-in-law.” As the trio move on, I asked Priya to turn and glance at the villagers. I still get goose bumps when I recall Priya, kneeling as a village woman saying farewell to the visitor, rising as Sita, and walking away with a backward look under her delicately raised pallu. That single glance captured the essence of the character—brimming with fellow feeling, warmth and lucent soul bonding. Though Priya had been talking for sometime about “giving back something to the art that has given me so much”, her appointment (July 2013) as the new director of Kalakshetra, Chennai, came as a bolt from the blue. Starting with founder Rukmini Arundale, this 77 year old performing arts institution has been headed by “insiders”. Trained by gurus belonging to other schools, more solo performer than guru or group choreographer, Priya has no administrative experience either. While her artistic standing is unquestioned, sotto voce apprehensions are rife about her ability to fulfil the role of director of an institution internationally famous for its elegant aesthetics, pedagogical training, and inspired ensemble choreography. To start as an outsider may be daunting. But is it an insuperable disadvantage? Especially if the entrant has no problems with starting as an earnest novice in a new field? With team spirit? Ready to consult, listen to suggestions? Meet challenges? “You talk about theatre, this is life,” you may say. But are they so different? Aren’t ego-shedding sraddha and sadhana as vital in life as in art? The Association of Bharatanatyam Artistes of India (ABHAI) organised its annual Summer Abhivriddhi Shaala in May this year. The composition chosen for the workshop was the Sankarabharanam pada varnam Saamiki sari evvare, a dance composition of Panchapakesa Nattuvanar. 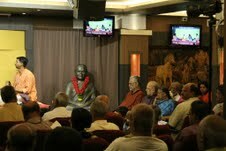 This was an opportunity for ABHAI to commemorate the 125th anniversary of natyacharya T. Kuppiah Pillai (1887-1981). Kuppiah Pillai’s son, Natya Kalanidhi T.K. 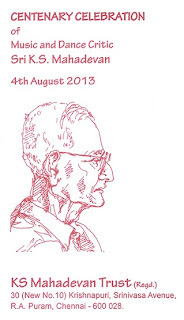 Kalyanasundaram of Sri Rajarajeswari Bharatanatya Kala Mandir, Mumbai, taught the composition between 6 and 15 May 2013. At the foyer of the Narada Gana Sabha, every morning it was a joyous experience watching, learning and experiencing the pada varnam as it was opened layer by layer by an experienced teacher. The result was sheer magic. We witnessed the acharya parampara in Kalayanasundaram Pillai over several sessions – humble while speaking on worldly affairs, and detached about mundane matters, and growing larger than life when it came to matters of art. He punctuated the classes every now and then with stories both religious and secular, humorous anecdotes, and most important, drops of nectar of philosophy. Constant encouragement and assurance that the participants were faring well made confidence soar high among the learners, perhaps a teaching technique of a master teacher. By marvelling at the varnam being completed within the stipulated timeframe, he gave the participants a sense of happiness that they were learning a legendary composition in a short time, completely aware that it would take months of continuous practice to master it. His patience while teaching and his willingness to repeat the same instruction umpteen times was admirable and a lesson to any young teacher. He did the nattuvangam with restraint and control, coupled with excellent rendition of Sankarabharanam. Phrases of rare quality reflecting the mood and content of the sancharis were sung. It showed great emphasis laid on music and highlighted the fact that dance is visual music. We also understood that singing for dance is not an easy matter; it needs separate grooming, receptiveness and sensitivity. The teermanams were like beautiful flowers strung together, starting from the samam, ending in an eduppu filled with complexities wherever required, as a piece of embellishment, and ending with simple arudis. Complete adavus, insistence on good araimandi, muzhumandi, and angasuddham, and constant instruction that abhinaya should be subtle, suggestive and crisp, reflected the wisdom the acharya has practised and taught. the emphasis on avoiding eye contact with the onlookers, was a revelation – showing a refined and suggestive way of demonstrating the bhava. The high integrity of the natyacharya was evident during the entire duration of training. Kalyanasundaram is living proof of the reverence the word ‘Swami’ would hold in his world of art and life. His emphasis on the firmness in holding the sikhara hasta and curtailing unwanted emotions, doing the attami while addressing the lord was a demonstration of his life ethics. The pallavi ‘Saamiki sari evvare’ unfolds with the idea that there is no one equal to the Lord. The Sethupati lords were great patrons of arts and literature who were described as ‘sangeeta vidya sahitya vinodan’. The dance composer had chosen to interpret it to mean that there is no one to equal his musical skills, bravery and knowledge of the sastras. In the second kandigai of the pallavi which says, “O friend I cannot bear this separation,” the acharya explained in depth and also demonstrated with finesse the abhinaya of a viraha nayika. The gestures were subtle, simple, straightforward and uncluttered as in any dance composition of yore, with emphasis on mukhaja abhinaya. The highlight came in the anupallavi – first kandigai, ‘Bhoomilo Bhaskarendra Setupati bhoopaludu’ which literally means, on earth Bhaskarendra Sethupati is Bhoopala. The dance composer had taken full advantage of the phrase to show the prowess of Raja Bhaskara Setupati in iyal, isai and natakam. We were taught a sanchari depicting a poet composing in the hall of connoisseurs and being endowed with gifts. While explaining this kai the acharya pointed out many finer points which would have eluded us – the poem sung in praise of the king in the court has to be written facing the king in the tradition of singing aasukavi. The poet nust not bend way down while handing over the manuscript because he and the king are of equal stature in an assembly of learned men. The king, on his part, bends forward and receives the poem with reverence, reads it, worships the lyrics, as it is not just a paean to him but to his entire royal lineage. He places the manuscript aside, honours the poet and bows down to his prowess. This idea was explained in length, an amazingly different understanding of the way in which scholarship was received and acknowledged by royalty in those days. The natyacharya also explained the respect given to musicians by the kings. This he incorporated into the sancharis. He pointed out that we must show the Maharaja appreciating with royal restraint so as not to disturb the artist, an interesting nuance. The adavus set for the chittaswaram and the ettugada swaras were so musical. The last ettugada swara or the makuta charanaswara was composed as a beautiful chain of nritta sequences with mei adavus, korvais punctuated with excellent finales. T.K. Kalyanasundaram was assisted by his wife K. Mythili, a performer of yesteryear and a teacher who also hails from a traditional family of artists. The acharya's granddaughter, Shruti served as a monitor for the class. The workshop was a progressive step. Young dancers rarely have the opportunity to interact, learn and imbibe from traditional teachers and performers, for their number is fast dwindling. A true gem radiates light and vanquishes darkness – so does the Guru. A music concert means different things to different people, it goes without saying. Some people would want every concert to be filled with Tyagaraja kritis, some like Dikshitar, others love Tamil compositions, so on and so forth. Swara fireworks appeal to the more knowledgeable rasika, and so does the ragam-tanam-pallavi. Some traditionalists set much store by niraval, in fact considering it a true measure of an artiste’s excellence. 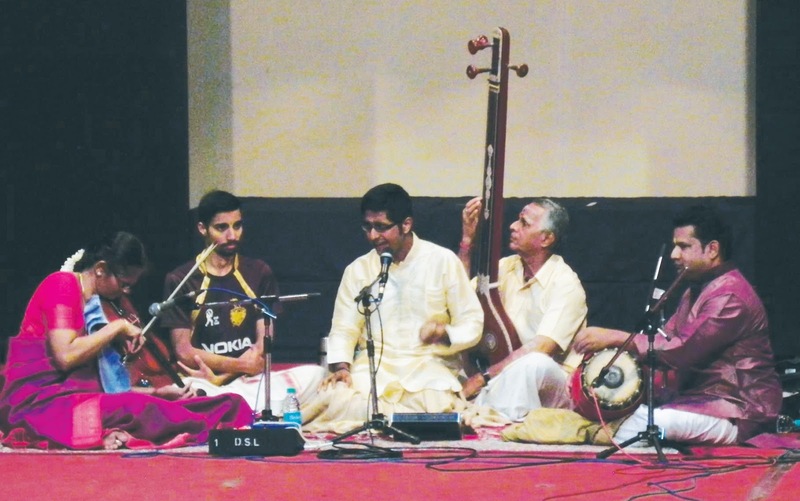 Tukkada enthusiasts cannot be ignored, with some of them partial to tillana, while a growing number of abhang-bhajan lovers throng the concerts of those specializing in those. And stars like Abhishek Raghuram have created a new band of raga alapana lovers, which is a welcome trend among young listeners. Personally, I find the violin alapana riposte section of a Carnatic music concert particularly uplifting. (We are naturally assuming here that the violinist is of top quality). I find this section of a concert so reposeful and serene, especially if the hall has good acoustics, and when the violinist’s manodharma is inspired by an outstanding prelude by the vocalist. I am not sure how many listeners feel the way I do, but when in perfect sruti and the artist is handling it with expertise and complete focus, the violin can cast a calming, moving aural glow that I can only describe as spiritual. (Of course the spell is often broken when the vidwan accelerates to the higher speed, sometimes even resulting in cacophony). R Raghul’s violin accompaniment at a recent vocal recital by Ashwath Narayanan (with appropriately complementary mridangam support by Kumbakonam Ramakrishnan) had that kind of sublime quality, for a considerable length of time, especially during the Purvikalyani alapana. Ashwath himself, so reminiscent in style of KV Narayanaswamy, created a mood of soothing quietude, never hurrying his phrases, making no attempts at artifice of any sort. This was rasa-soaked music in a pure voice that transported the audience to a world of deep bhava. At this stage of his career, the young man can be forgiven if he tends to imitate his idol to the extent of copying some of his avoidable traits, but he can be a leader of his generation if he builds on his own strengths while reflecting the best qualities he has internalised from the KVN bani. Before I forget, the concert prefaced a beautifully organised event to remember the late music critic KS Mahadevan. Full marks to the family for a tastefully got up programme, in which everything including the shawls to honour the guests on the dais (pronounced dias as usual) was in elegant good taste. The prominent patron of music Nalli Kuppuswami Chetty spoke with admiration of KSM and his gentle ways as a critic, even giving glimpses of his sense of humour. According to him, KSM wrote only good things about concerts while reserving his criticism for private conversations with the artists concerned. (Nothing much seems to have changed in music reviews, except perhaps for a lack of criticism even in private). He also spoke of his substantial contributions to the newspapers he wrote for, primarily the Indian Express, and his long stint as editor of the journal Shanmukha during his Bombay years. I had to tear myself away from the pleasant function, as I had another to attend (which I learnt later I should have avoided), so I could not listen to the other speeches (by Y Prabhu, K Balaji,who received the first copy of a commemorative volume on KSM from Nalli, PS Narayanaswamy, Padma Subrahmanyam, TR Subramaniam and VV Sundaram). Unfortunately it also meant that I missed Nithyashree’s concert that followed. Mississauga, Ontario has its own Benares. Surprised? Benares is a house built in Mississauga, Ontario, in the mid 1800s by Edgar Neave which he named after the holy city. The theory is that being a smart land developer he had realized that retiring British army officers who had served in India were buying property in Ontario, and, giving real estate Indian names would be good marketing. The first buyer of the house was a Captain Harris who had served in India, though not in Benares. Captain Harris and his family who subsequently owned the property retained the name Benares. The property has been restored in recent years, and, has been declared a Historic Site. During the short Canadian summer every year, music concerts are arranged on the verandah of the house and the series is known as On the Verandah. The performers sit on the verandah and the audience sits in the open space in front. The choice of music is fairly eclectic and in recent years, Subhadra Vijaykumar, a reputed Carnatic violinist, has been giving performances On the Verandah along with other musicians. On Friday, August 2, she teamed up with a co faculty of hers at the Royal Conservatory of Music, Toronto, Jamie Thompson, who played the flutes. In addition to giving interesting introductions to the songs and their genres of music, Subhadra and Jamie also provided a lot of information about the evolution of the instruments they were playing. Subhadra talked of Baluswamy Dikshitar’s role in developing the violin for Carnatic music, and, Jamie had many interesting facts to share about the evolution of different flutes, including the Bansuri. Playing solo pieces and improvising impromptu jugalbandhi style playing, the duo kept the audience enthralled with pieces from composers like Muthuswami Dikshitar, Vivaldi and Albert Roussel (1869-1937). Roussel’s ‘Krishna’ which Jamie led on the flute gave the right setting to the evening as the sun came down, and, one could see Krishna, playing the flute, coming home with the cows, the red setting sun in the background and the dust kicked up by the cows (go dhooli ka samay). The two also performed a piece from Paul Horn’s (b. 1930) piece that he composed in 1968 when he sneaked a tape recorder into the Taj Mahal one night and played inside the Taj. Why should Chennai(ites) have all the fun: why not Bengaluru, Mysuru, Hyderabad and Tiruvanantapuram share some of it? This question is one that musicians outside Chennai are bound to ask sooner or later. And with good reason too. Chennai being the happening place for Carnatic music, it is difficult for outstation artists to get attention here. Even so, there is no dearth of effort by these artists to get musical mileage and one of them is 21-year old vocalist N.J. Nandini from Tiruvanantapuram who has been making waves in Kerala. Nandini’s family background in music is indeed formidable. A great grandfather of hers, besides being a musician of merit, was also a composer and singer of songs on Lord Ayyappa. This music was in a genre by itself and had both classical and bhajana elements. Nandini’s great uncle Vechur Hariharasubramaniam, a respected musician in Tiruvanantapuram, was a senior disciple of Semmangudi. He worked as a lecturer in the Swati Tirunal College of Music when his guru was its principal. Her father’s brother, Vechur C. Sankar, is also a senior musician. Her parents had both trained in music although they did not take to performing. They devoted all their energies in the musical development of their children Nandagopal and Nandini. The former, three years older, is a good mridanga player and Nandini’s constant practice with him has helped her to gain a good grip on laya as well as to plan her concert pattern. As Nandagopal has also undergone training in vocal music, the siblings presented a number of concerts as a duo when they were in their teens. 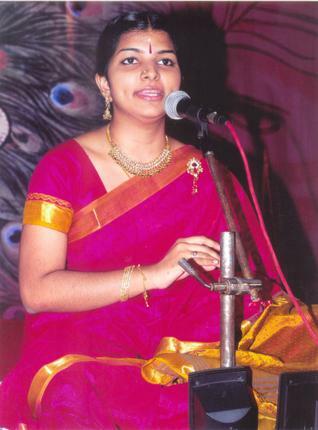 Nandini started learning music at the age of five from Dr. Bhagyalekshmi, a senior disciple of Dr. S. Ramanathan, and continued with her for ten years. Thereafter, for the past six years, she has trained under the grand old dame of Carnatic music in Tiruvanantapuram – Parassala Ponnammal. Simultaneously she has also been learning from Prof. Kumarakerala Varma and Dr. M.N. Moorthy. Nandini’s USP is her honeyed voice which affords mobility and traverses effortlessly over three octaves; this is not to belittle the musical content in her concerts. Her stock of compositions, of all kinds, approximates 500 and is still growing; like most youngsters, she has learnt a fair number from recordings. 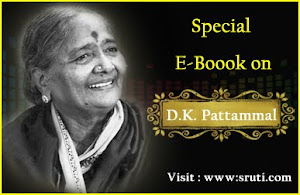 Apart from the compositions of the music trinity, her stock includes a considerable number by Kerala composers, Muthiah Bhagavatar, Sivan and others. She has participated in many music competitions and won a bagful of prizes. She has won awards and titles in various television channels including Ragaratnam, Vivel Carnatic Music Idol, and Musician of Peoples’ Choice. The year 2009 saw her win the competition conducted by All India Radio, automatically becoming a graded artist. She is also a recipient of the CCRT scholarship from 2002. Some of the titles she has received from sabha-s include Sangeeta Sri, Yuva Sangeeta Pratishtha Puraskar, the Muthiah Bhagavatar Award, and MLV-Srividya Award. The latest feather in her cap is that she has been adjudged the ‘best vocal artist (female)’ in the Spirit of Youth competition organised at the Music Academy in 2012. Till date she has given about 400 concerts, of which the majority have been in Kerala and neighbouring places in Tamil Nadu. Chennai and Mumbai occupy the second and third place respectively. She has sung in other parts of India too. Her sense of laya is very good. At the age of fifteen, she sang a pallavi in four raga-s – Sankarabharanam, Todi, Kalyani and Darbar – the one made famous by Ariyakudi. Nandini’s stage presence and deportment are pleasant. A final year student of B.Com., she plans to pursue Masters and Doctorate in music in due course. This young musician from Tiruvanantapuram has the potential to go places. Time and timelessness have formed the basis of many philosophical, spiritual and scientific discussions down the ages. in the present world, which we are part of, time is indeed of the essence. Beginning and ending on time is crucial to the success of any venture including a music concert or a dance performance. While the wider reach of, and appreciation for, the classical arts, and the emergence of a crop of talented and committed young artists augur well for the future, certain aspects of the present state of the cultural milieu need to be looked into with an unbiased view. Lack of punctuality, and inadequate attention to organisational details, form the crux of a few of today’s problems in the conduct of programmes, affecting not merely the quality of the performance but also audience appreciation and enjoyment. Classical performances in the West are marked by an extreme sense of decorum, rectitude and formality, and whether that can and should be adapted to Indian conditions is a matter of debate. However, the casual manner in which we often treat a performance by virtue of not adhering to time schedules smacks of a lack of respect for our arts in general. Though there may be exceptions, by and large a half hour this way or that seems to be of no consequence to us. There is really no justification for the organisers and artists arriving after the stipulated time. The preliminary tasks like setting up of the sound system and balancing have to be attended to well in advance. Valuable time is often spent adjusting mike levels and quality, and tuning the instruments, further delaying the entire process. While the informality may be a part of the Indian ethos, it is the performance itself that suffers. The concert veers off track, and more often than not the main item is cut short leaving a sense of disproportion and dissatisfaction. Very often the niraval in the main item has to be scrapped, or the ragam-tanam-pallavi has to be rushed through, negating the importance and relevance of the entire exercise. On many occasions, lengthy speeches form part of the proceedings, creating further chaos and disrupting the flow of the concert. To specify the length of the speech in advance would, in fact, entail no disrespect to the speaker, however senior or celebrated. Also, at least some members of the audience are left bewildered by the number of people speaking and a further few called up to the stage to be honoured and felicitated. In music and dance performances featuring more than one artist, those scheduled towards the later part are forced to curtail the duration and number of items. It would be a great service to all concerned if such functions are not combined with a music concert; or if necessary they could be completed at a stipulated time before or after the time specified for the concert. They could also be held separately as in-house functions which are not publicised at large and sprung on unsuspecting art lovers and members of the press who have come to listen to or witness a recital. The primacy of the art, over all else, has to be established and maintained at the performance venue. Further, it is only a matter of courtesy to everyone concerned, including the audience who have spent valuable resources just to be present at the venue, and without whom the entire exercise would be meaningless. Making them wait endlessly, in some cases for more than an hour, amounts to taking them for granted, and according scant respect for their time, energy and money. That the audience, too, have to keep their end of the bargain by maintaining silence and not distracting the artists in any way, goes without saying. That is the least we can do for our glorious legacy, for which we profess the utmost reverence. The violin duo Mysore Manjunath and Nagaraj end their Shanmukhapriya swarams (Marivere dikkevaraiyya Rama.) with an energetic and exciting muthayanam, in front of an ecstatic audience, and hand over to mridangist BC Manjunath and khanjira artiste G Guruprasanna, who play an absorbing taniavartanam. There are intricate nadai variations, short mathematical patterns woven effortlessly into larger sequences, and traditional combinations with an innovative twist. When the kuraippu begins and the exchanges between the two percussionists begin to taper in length, the listeners are sitting at the edge of their seats. Finally, they reach the mohra and korvai, and finish on a grand note. Over 600 young children in the audience cannot restrain themselves any longer – they are up on their feet – jumping, cheering, and applauding in delight. The environment in the room is electric, and the excitement palpable. Each child has a wonder-struck expression–the expression of a child who discovers something new, pure, beautiful and magical. This is just one of many experiences at the Bangalore debut of Svanubhava, the brainchild of TM Krishna and Bombay Jayashri. After successful editions of the festival since 2008 in Chennai, New Delhi, Trichy and Jaffna, Svanubhava debuted in Bangalore on July 19th and 20th, 2013. Organized by a group of young students of the performing arts, this garnered a phenomenal response from diverse groups –fellow students of the performing arts, school students, college students, artistes, educationists and teachers, journalists, connoisseurs, and even researchers and critics. The line-up of events had a distinct local flavour. The festival was inaugurated by senior Carnatic vocalist Neela Ramgopal. She motivated the entire team by saying that the future of the classical arts is safe in the hands of youngsters who have taken the initiative and shown so much enthusiasm in organizing an event of this scale. The first programme was the indigenous folk art form, Veeragase. Veeragase combines elements of story telling, dance, drama, music and percussion in its execution. We witnessed some gripping story telling seamlessly integrated with spoken and musical narratives, synchronized and intense dance movements, along with stellar support from the percussionists. The artistes wore striking red costumes, with bright make-up and chunky accessories. The impact of raw strength and energy was stunning—a perfect example of sophistication and power in a folk art form. This was my first time witnessing a Veeragase performance, and it definitely made a profound and lasting impression on my mind. Each session was followed by a question-and-answer session and an open floor, when school students and other members of the audience could ask absolutely any questions. It was very heartening to see the children so uninhibited, full of curiosity and wonder. 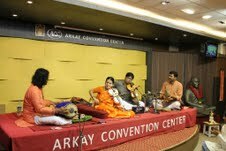 The next performance was by Abhishek Raghuram, accompanied by Charulatha Ramanujam (violin) and Arjun Kumar (mridangam). Abhishek wowed the audience with a scintillating Bowli (Sri Parvati), Saranga (Neevadanegana), Charukesi (Adamodi galade) and Varali (Mamava Meenakshi). The subtly-intricate patterns in the Saranga niraval, and the striking Varali swarams were the crème de la crème of the performance. After the Q&A session, the entire auditorium thronged the green room, hoping to get a photograph or autograph of their superstar–prompting comparisons with the Khans of Bollywood! The penultimate item on Day-1 was traditional puppetry from Karnataka by Anupama Hosekere. In a performance that took nearly five hours to set up, Anupama, along with her team of artistes, presented many stories and anecdotes from the life of Prahalada. She explained later on that, a full production of this manner takes nearly two years to prepare–making the puppets, stitching clothes for them – with attention to colour, texture and fabric, perfecting their movements, composing music with particular attention to raga selection for the appropriate emotion, choreography, and of course, narration and execution. She answered the children’s questions with élan, too. Truly an incredible feat. Day -1 ended with an erudite conversation on the ‘Interconnections of Music and Dance’ between TS Sathyavathi and Vaijayanthi Kashi. Vaijayanthi Kashi alluded to the music and rhythm all around us – even in the way we speak, intone, emote and connect. Dr. Sathyavathi, in her scholarly style of speaking, explained how theatre, music and dance can come together as an integrated whole, while being distinct in themselves. A particularly beautiful moment was an impromptu performance by Vaijayanthi Kashi to Sathyavathi’s Hamsadhwani swarams, and a riveting Neelambari swara-passage rendered by Sathyavathi. Day-2 began in true martial-arts style with a stellar display of strength, agility and power by the nimble-footed Kalaripayattu group from Kalari Gurukulam. 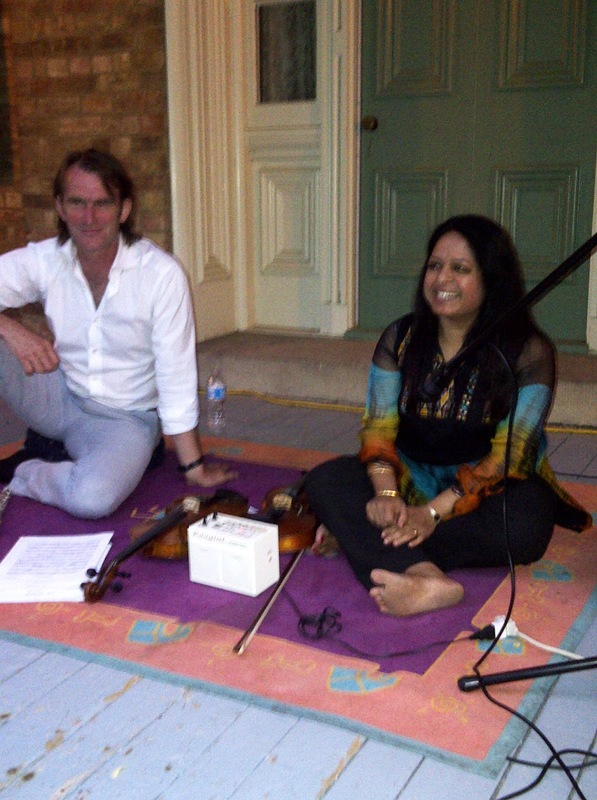 Musicians Team Agni began with a percussion prelude – beginning softly, and building up to a crescendo. As a perfect climax, the artistes entered the stage – attired in black, with coordinated red waistbands. A mix of vigorous jumps, quick footwork and perfect balance, the performance had several ‘wow’ moments. The next performance was quite the crowd-puller. Padma awardee and doyen of theatre B Jayshree was in conversation with versatile actor Ramesh Arvind. The two contrasted acting on stage with acting before the camera. Jayshree captured respect and admiration through her charismatic personality and poise. Ramesh Arvind connected with the children, and even had them on stage for an impromptu session on acting. The penultimate programme was an incredible Hindustani vocal concert by Pt. Parameshwar Hegde, accompanied by Vyasamoorti Katti on the harmonium and the young Adarsh Shenoy K on the tabla. With a powerful and expressive voice, Hegde took us through the ragas Multani and Desh, among others, in a variety of tempos, moods and emotions. The stage setting was befitting to the grandeur of the concert – two beautiful Miraj tanpuras on either side of the artiste, with the nada of the sruti reaching the very last rows of the auditorium, creating a serene and meditative atmosphere. Svanubhava - Bengaluru ended on a high with a demonstration and laya-vinyasa by V Krishna on the mridangam, Guruprasanna on the khanjira and Arun Kumar on the morsing. Krishna, apart from being a mridanga vidwan of repute, is also a professor at a top engineering college in Bangalore. He established a fascinating connect with the audience within minutes of the performance, and demystified tani avarthanam to students. Demonstrating and explaining concepts such as sollu, sollukattu, nadai, nadabhedam, teermanam, kuraippu, mohra and korvai”, he beautifully explained the arithmetic behind tani avartanam. He stressed that the kanakku should be aesthetic. The team ended with a stunning tani avartanam in Adi talam. It was one of the most enriching experiences being a part of the Svanubhava-Bangalore team. Working under our mentor TM Krishna Anna has been memorable–whether it was his management sutras on how to approach corporates, or his comments on how to speak to schools. He made us believe in the immense difference this festival could make to the performing arts spectrum. To see the results has been most gratifying. After preparing for the festival for almost a year, we are grateful for the incredible response we had on both days – from school principals, teachers, students, young artistes, and the entire artistic community. We are all familiar with brothers or sisters performing together as Carnatic musicians on stage, even father-son duos or father-son-daughter trios, but JA Jayanth and his grandfather TS Sankaran make for a rare grandfather-grandson flautist combination in the kutcheri scene. Jayanth is also a disciple of his grandfather, who was a sishya of the incomparable TR Mahalingam. The youngster, who has completed his engineering education, has been growing steadily in prowess and popularity as a concert artist accompanied by his grandfather. On 7 July, 2013, Jayanth’s family held a lovely remembrance concert in memory of VS Sundari in the intimate space of Arkay Convention Centre, Mylapore, Chennai, by violinist Kanyakumari, accompanied by her disciple Rajiv (violin), Patri Satish Kumar (mridangam) and BS Purushottam (khanjira). The event was tastefully organised by Jayanth’s parents TS Jayaram and Jeyshree and brother JV Jaykishan, who had placed a life-like statuette of the late vidushi on the stage. There’s an intriguing tale behind the initials JA and JV of the two brothers. Sankaran, a staunch patriot, contributed them as a tribute to leaders he admires. The ‘A’ in Jayanth’s name denotes Ambedkar, and the ‘V’ in Jaykishan’s is a reference to Vivekananda.